Seniors are one of the fastest-growing demographics in the world, but it seems that they are still largely ignored when designers conceive and test new ideas. 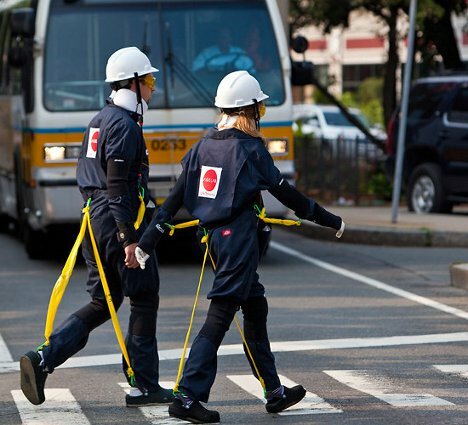 To combat this age blindness, the MIT Agelab created AGNES (Age Gain Now Empathy System), a suit that is designed to mimic the physical limitations of an older person. The suit decreases flexibility and mobility, makes the user feel off-balance, slows their gait and even simulates hearing and vision losses. AGNES is supposed to make its wearer feel like he or she is approximately 75 years old. Its purpose isn’t simply to instill empathy in the wearer (though that does seem like a handy side effect). Rather, the suit is meant to help designers understand what it is like to live in an aging body. If a product designer or city planner has the opportunity to step into an age suit like this and experience the world in an older person’s body, perhaps their work will begin to reflect features that are easier for older people to use.